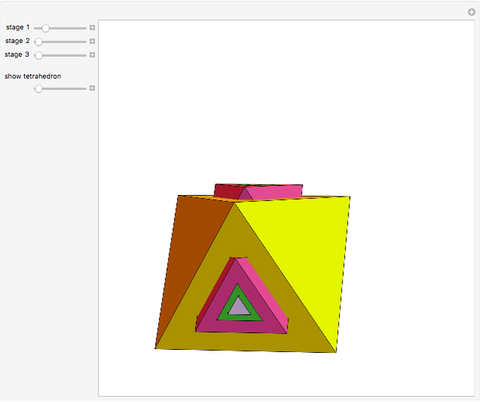 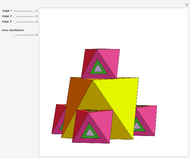 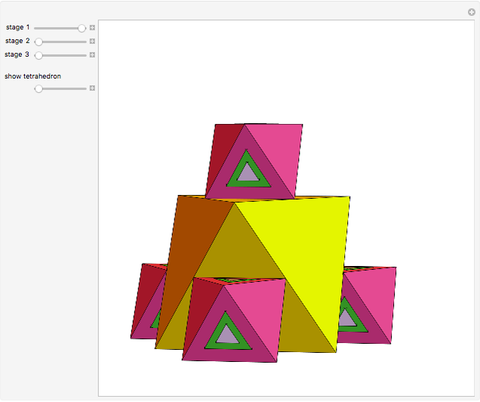 Take an octahedron and place smaller octahedra on four of its faces. 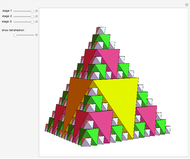 Repeat this on the placed octahedra ad infinitum to fill a tetrahedron. The first three stages are shown here. 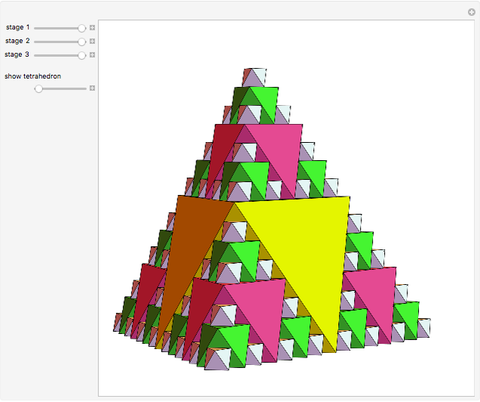 Sándor Kabai "Filling a Tetrahedron with Infinitely Many Octahedra"